Best 3 Apps for Android & iOS! Today I want to talk about 3 amazing apps that I use on a daily basis to go across platforms. So check my review and find your best perfect working app. First up is an app called Younity. What this does is allow you to access all of your devices without any configuration. So you install it on your desktop, it will scan all your files and create an index. Then from your phone, tablet or computer, you can access those files without having to store them on the cloud or on your mobile device. So here's an example, let's say you're on the road and you forgot to copy a document you can open up Younity and access it right there and then. Same holds true for movies, pictures, and music. You essentially have a media server that can be accessed from anywhere in the world. Plus all the standard features like airplay and Chromecast are built-in so that you can stream something on your computer to your TV using your smartphone. Now I mostly use it for watching movies and listening to music, but it's a great way to save precious storage space on your smartphone by keeping your pictures, music, and media on your computer. Just the other day I wanted to share a picture on Instagram but the photo wasn't on my phone. So all I did was just open up the Younity app and inside the picture folder, I could easily share the photo from my computer using my phone. Usually, it works with Android, iOS, Windows and Mac OS. This is my favorite podcast app and is available on both iOS and Android. 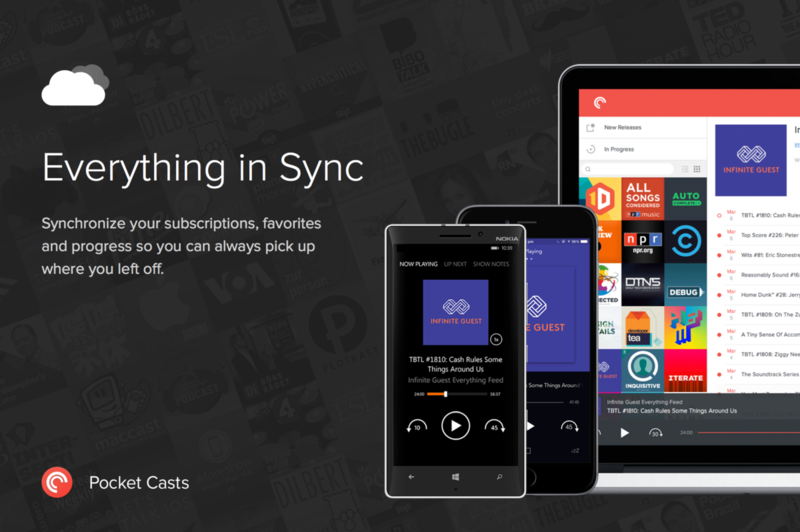 The reason why it's so special is because it allows you to sync what you're listening to across both platforms. So for example, if I start listening to a podcast on my iPhone and I stopped 19 minutes into it, I can pick up exactly where I left off on my Android device without having to worry about syncing. Now it does cost $4 but you only have to buy it once either through the Google Playstore or Apple's app store. After you install it, log in using your account and you're good to go. Now I've tried a lot of email apps, the problem is that one would look and works fantastic on iOS but look awful on Android. The closest thing I got to being happy was at Microsoft Outlook but again there's just something missing about it. I've also tried Gmail, Inbox, blue mail and K-9 but they just didn't do it for me. So I discovered Newton. It was previously called Cloud Magic but it works looks and functions exactly the same on both platforms but the biggest thing for me is that I don't have to enter my username and password for every email account whenever I setup a new device and as a reviewer, I'm always setting up brand new smartphones. Newton pulls all your email accounts from a server which is very convenient. 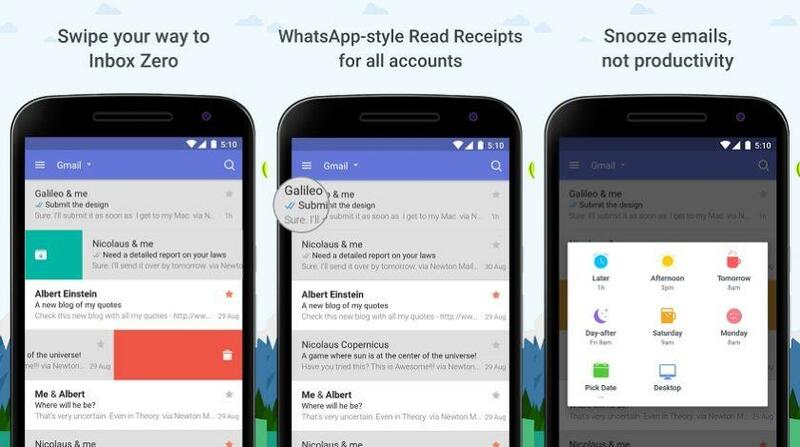 It also has tons of really useful features like scheduling emails, read receipts and snooze function that lets you dismiss an email and have it sent back to you later. This is super awesome if you're busy and don't want to forget to respond to someone but there is a downfall of Newton and that's the fact that it costs $4 a month. Now my suggestion is to try it on the 14-day trail, if you find the feature is useful it might be worth it for you. So that wraps up my top 3 apps for going cross-platform. I hope you found all of them or at least one of them very useful. 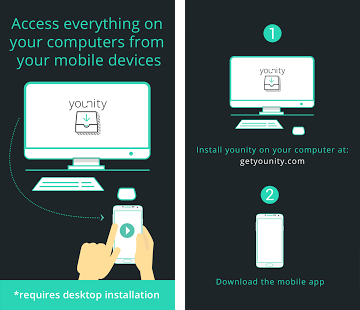 Plus Younity is having a special offer right now, if you sign up you get a 7-day free trial for their premium version but if you end up liking it and you want to commit to it, they are giving forty percent off their premium plan.